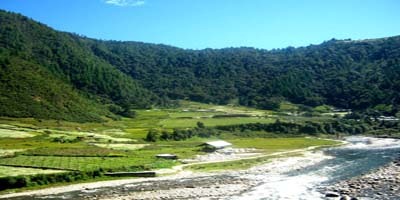 According to Outlook Traveler magazine, Arunachal Pradesh has been voted the ‘Favorite Upcoming Destination’ by readers. Tucked away in the north eastern corner of India, Arunachal Pradesh has an old charm to it. Mountains,flowing brooks and lush greenery. Literally, Arunachal Pradesh means “land of the dawn-lit mountains”. Indian Eagle recommends you catch the lovely dawn against the sun-lit mountains. The breathtaking view will remain with you forever. The state positioned at the easternmost part of India, is also known as the “land of the rising sun”. The major part of of Arunachal Pradesh is covered by the Himalayas. In sharp contrast to the hilly region, the lowest elevation has the Brahmaputra Valley semi-evergreen forests. The vegetation is made up of subalpine conifer forests. The Patkai Hills are covered with the broadleaf forests. The majot attractions are the Tawang Monastery in Arunachal Pradesh. Founded by Merak Lama Lodre Gyatso in accordance with the wishes of the 5th Dalai Lama, the largest monastery was built between 1680-1681. Also known in Tibetan as Galden Namgey Lhatse, it translates into ‘celestial paradise in a clear night.’ The library at the monastery is a treasure trove with valuable scriptures. The Rocky Mountains beckons for adventure sports.Bomdila is famous as a trekking destination for trekking lovers. Angling and kayaking are the sport activities for adventure seekers. The unbeatable experience will be Rafting across the Brahmaputra with the challenging “Zebra Rock” and “Roaring Rikor”.Counted as the best experience, Arunachal Pradesh has a lot to offer. Go overnight camping on the beaches under the stars, Indian Eagle will double the enjoyable experience with Lowest Airfares to Arunachal Pradesh.